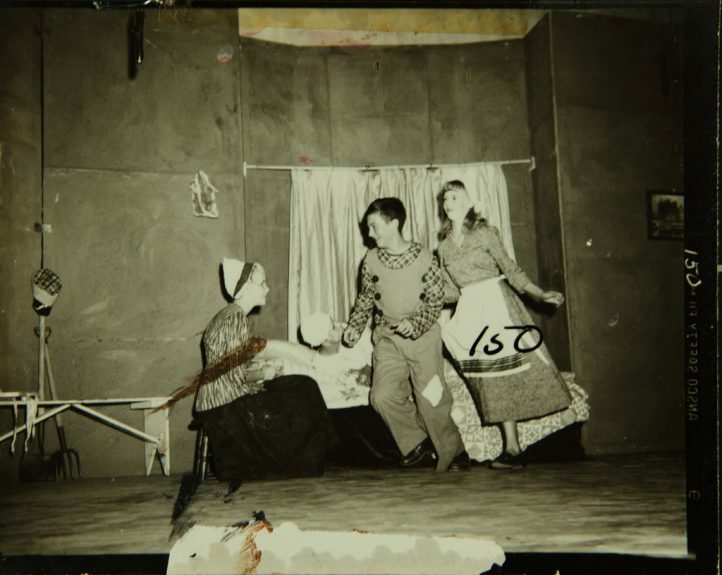 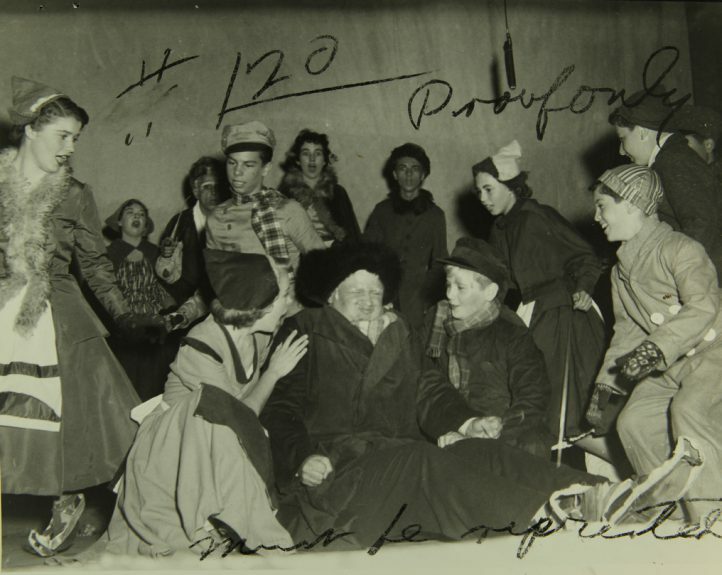 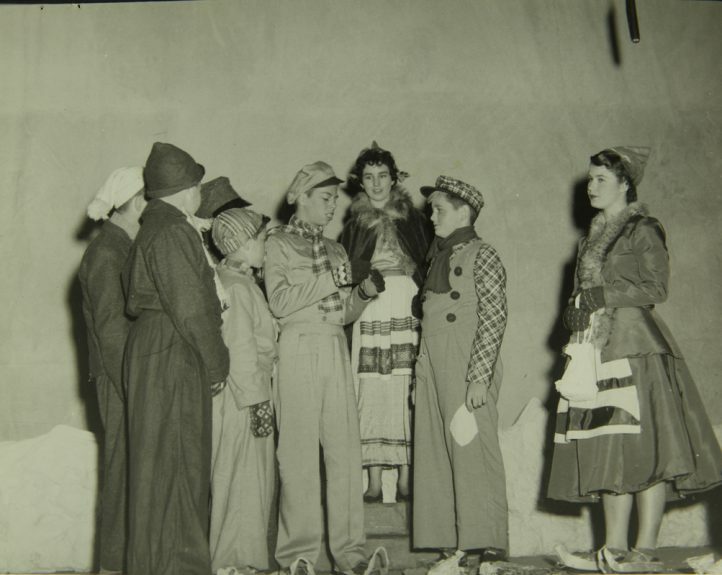 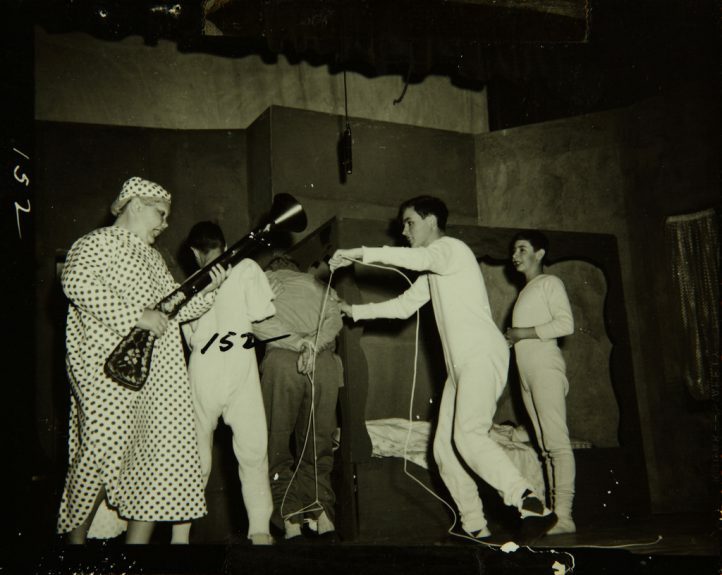 Charlotte B. Chorpenning’s 1938 dramatization of Hans Brinker and the Silver Skates was performed at the Roosevelt Junior High School Auditorium over several weekends in November, 1954. 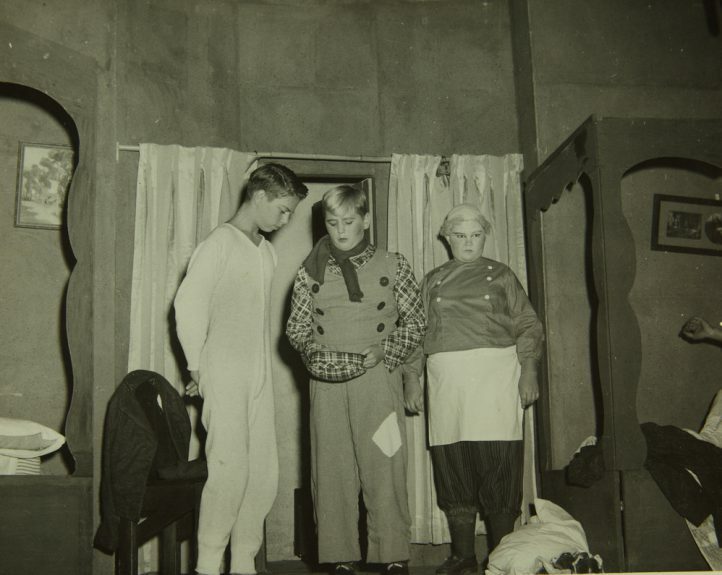 It was double-cast, with alternate performers, allowing all students participation in the production. 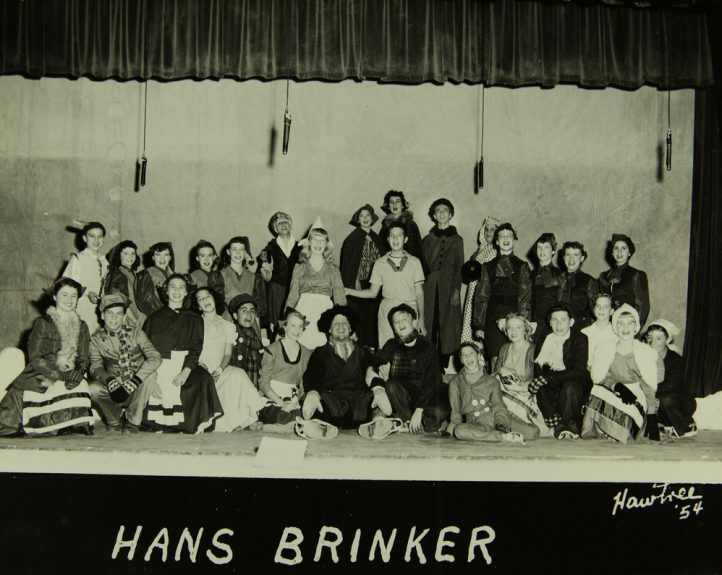 Hans Brinker and the Silver Skates was produced through special arrangement with the Children’s Theatre Press, Anchorage, KY. Production sponsored in part by the City of San Diego Park and Recreation Department, the City and the County of San Diego. 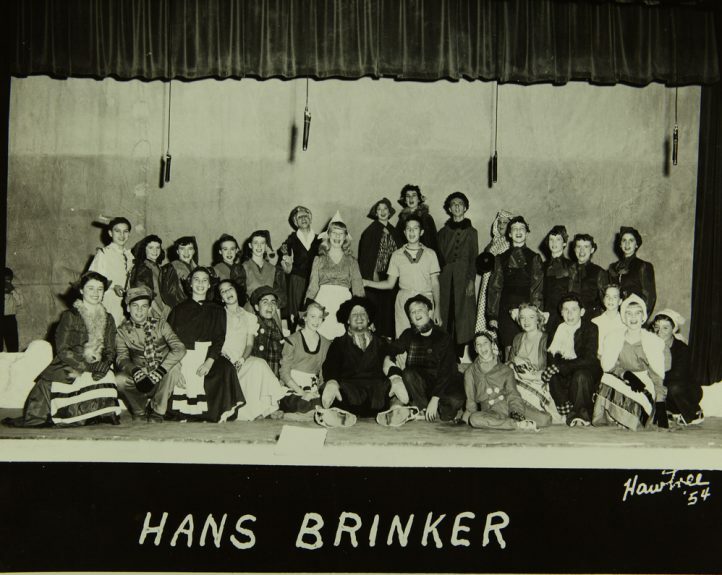 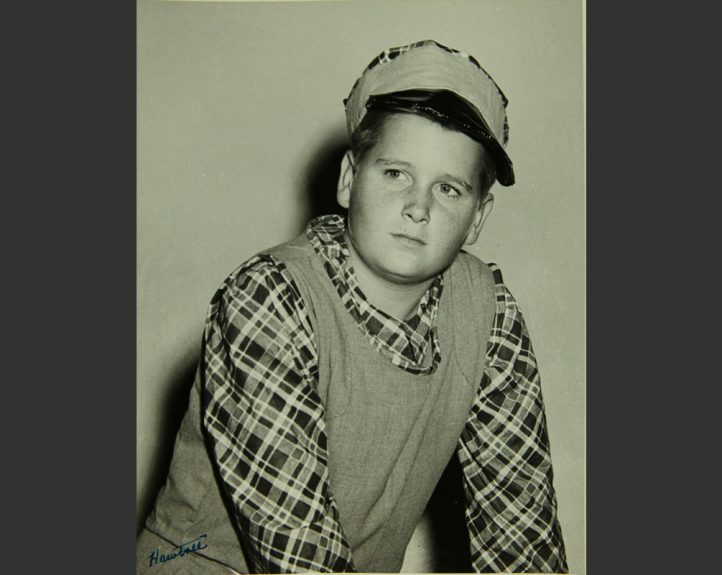 Source: Ralph Hastings, “Junior Theater to stage ‘Hans Brinker’ this afternoon,” San Diego Union, Sunday November 14, 1954, E-4.